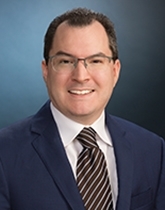 Michael Duffy is a tax attorney and former “Big 4” state and local tax manager who supports Fletcher Tilton’s Corporate, Tax, and Trusts and Estates practice groups on a variety of matters. Michael has extensive experience advising clients on the tax consequences of forming, operating, restructuring, and liquidating business entities with an emphasis on tax-efficient succession planning. Michael also works on issues related to the formation and management of nonprofit entities, executive compensation, federal and state tax controversies, mergers and acquisitions, and the taxation of gifts, trusts, and estates. Michael received his J.D. from Washington and Lee University School of Law in 2009 and his LL.M. in Taxation from New York University School of Law in 2017. He received a B.S. in Business Adminitration, Accounting from California State University, Los Angeles. Michael is admitted to practice in Connecticut, Rhode Island, and Massachusetts (pending). He has published articles with the Journal of Taxation, Journal of Multistate Taxation and Incentives, and Providence Business News, and is a frequent guest speaker to CPAs on emerging tax topics in the Worcester area. Michael’s administrative assistant is Danielle Hebert, (508) 459-8204. Section 199A Bootcamp - the A to Z of Section 199A, the Pass-Through Deduction, including the recently released final Treasury Regulations and the new real estate safe harbor. Understanding Section 199A is key to surviving tax season this year. (February 2019) This pre-recorded webinar is available for viewing. $40 fee, CPA's earn 2 CE credits. Click here to register.